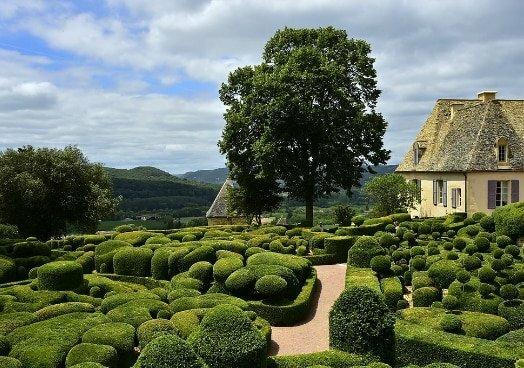 If you have yet to discover for yourself the pleasures of southwest Dordogne, you’re in for a treat. No other region of France holds quite the same fascination, particularly for the British. This undulating landscape wins our hearts with its lush green meadows and vineyards, peppered with chateaux farms and fortified hilltop villages. 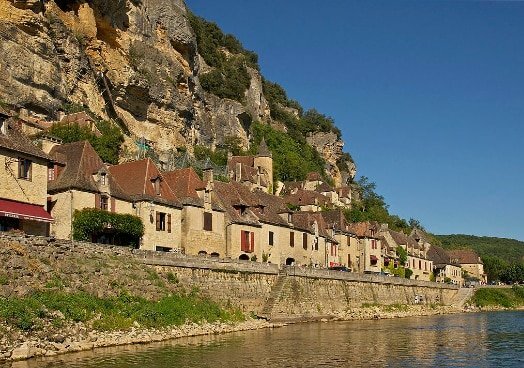 The Dordogne river lends its own majesty, medieval architecture takes our breath away and prehistoric man reveals his presence. Here we showcase just a few of the attractions that wait you. 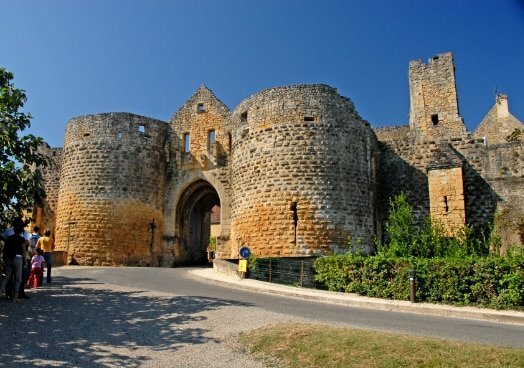 This medieval walled town has been the backdrop to many movies and is an outstanding example of 14th century French architecture. The many twisting and cobbled streets will inevitably lead you to a fabulous restaurant, chic boutique or magnificent spot to watch the world go by. 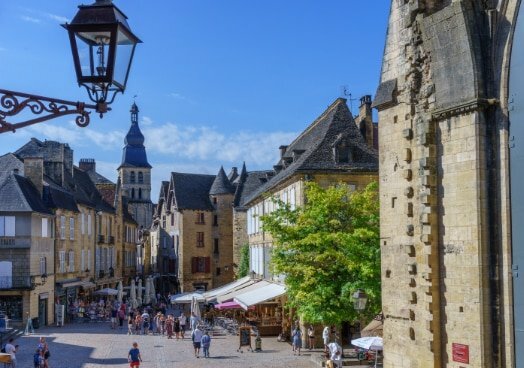 Sarlat’s main square plays host to a huge market for local produce – duck and goose confits and patés, goat and bovine cheeses, breads, walnut cakes, pastries, wines, brandies and aperitifs. 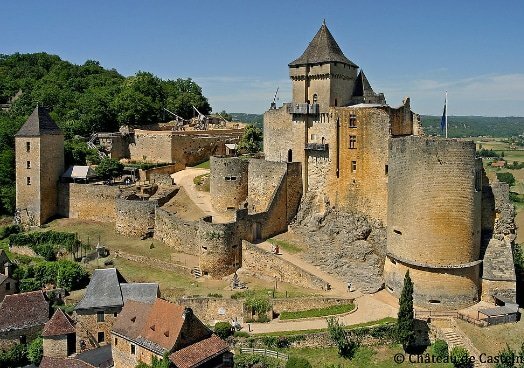 A magnificent walled medieval hill top village with fantastic views over the Dordogne valley. The spectacular grotto is well worth a visit and immerse yourself in the history of the Knights Templar and their close association with the village. A spectacular village carved into the cliff. The myriad of cobbled streets quaint shops and restaurants provide a perfect backdrop to a sail down the Dordogne and the perfect place for a refreshment as the sun goes down. 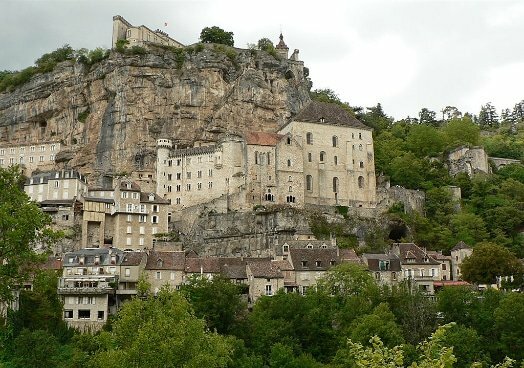 The village of Rocamadour is a UNESCO World Heritage Site, and has been an important pilgrimage destination for 1000 years. Today, it remains popular among tourists, who marvel at the medieval buildings hewn into the cliffside. 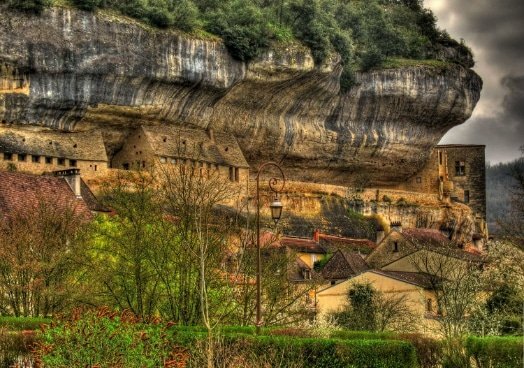 The UNESCO heritage site of Les Eyzies lies in the heart of the Vézère Valley, and can be counted among the area’s many notable prehistoric landmarks. It was near Les Eyzies that Cro-Magnon man (evidence of the some of the earliest homo sapiens) was discovered, along with cave paintings at Font de Gaume. The town is small, with just 900 inhabitants, yet draws around one million visitors a year – so expect it to be busy! 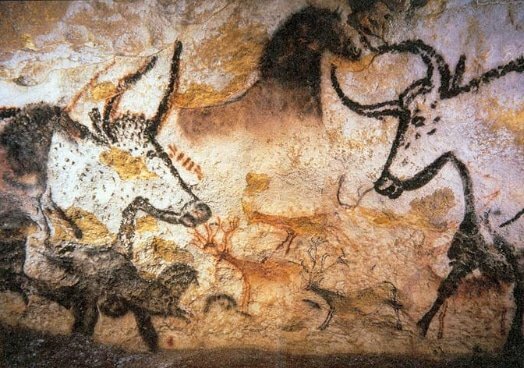 In 1940, four teenagers discovered paintings on cave walls near the village of Montignac, which archaeologists believe are the oldest ever found, dating back 17,000 years. Although opened to the public in 1948, the Lascaux caves were closed in 1963 as modern pollution took its toll. Today, Lascaux II and neighbouring Le Thot, provide visitors with a rare glimpse into the world of prehistoric man, with a walk-through replica of the original caves, plus an immersive experience of this truly remarkable story. For more information see the Lascaux website. 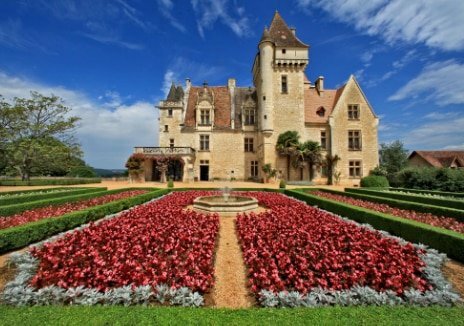 A beautiful chateau with exquisite gardens overlooking the Dordogne valley and river. The walks around this magnificent house and its gardens are breathtaking, and to capture the romance try the Thursday evening candle lit, and stroll around and listen to the live romantic music wafting over the valley. Also, around the gardens are activities for children to become involved in and a great maze. 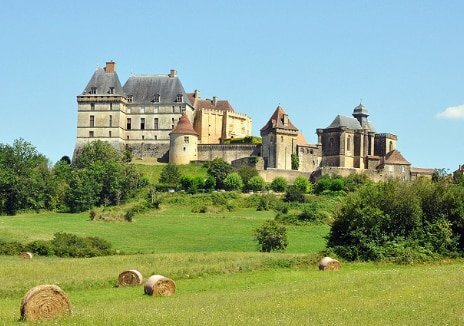 The Dordogne region has many of the finest castles in France, often in spectacular locations, and frequently surrounded by carefully manicured gardens with far-reaching views over the Périgord countryside. Many of the castles date from the turbulent times of the 12th-14th centuries and the wars between England and France. One of the most impressive chateau in the region, the Château de Castlenaud stands on a rocky outcrop in the heart of the Périgord Noir. From here, you can enjoy a panoramic view across the Dordogne Valley. Founded in the 12th century, the castle is a perfect example of a medieval fortress. 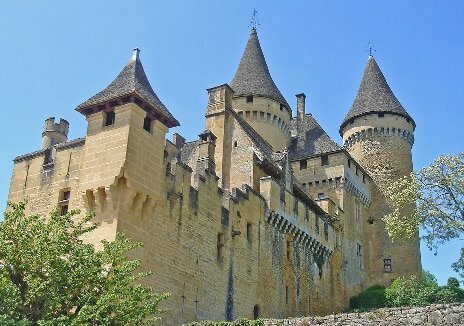 More information from the Château de Castelnaud website. Exploring rural France on a bicycle is certainly the best way to see the pretty villages and catch a glimpse of rural French life. 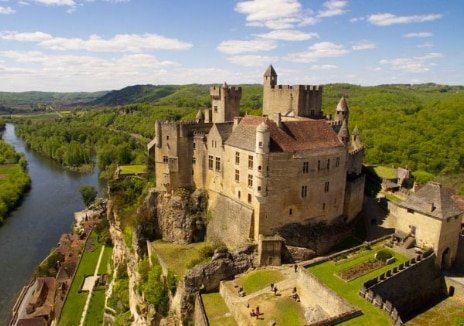 The Dordogne really excels, with fields of sunflowers that stretch as far as the eye can see, attractive woodland, meandering riverside lanes, and astonishing viewpoints that were made for leisurely picnics. For information about routes and bike hire, see the Aquitaine Bike website. If you fancy taking in the Dordogne scenery on horseback, you’ll be pleased to know there are over 1000 km of bridleways to explore. 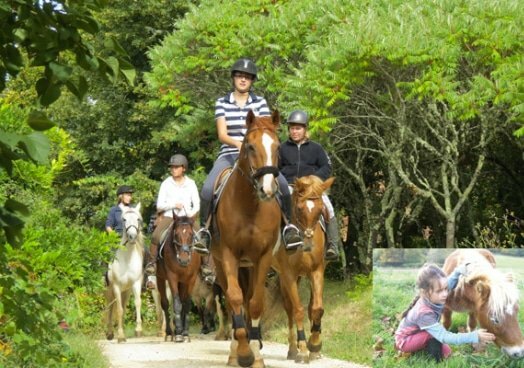 There are several riding stables in the area which specialise in riding for families, including the Pony Club Arc En Ciel at Le Peyrat, Campagne. 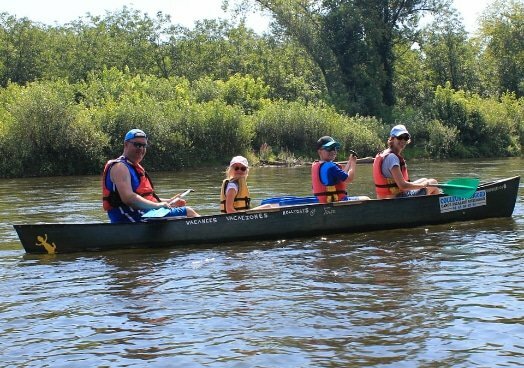 With the abundance of rivers, the Dordogne is blessed with large numbers of companies who provide all the equipment for you to take up this sport or to develop your skills further. All ages are catered for, with great emphasis on safety and using the correct equipment. The rivers are beautiful and what an opportunity to see them from a completely different aspect. Situated approx. 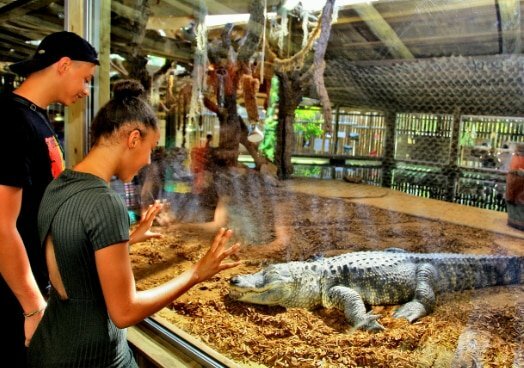 45 minutes away is the town of BUE, which has a fantastic aquarium, with not only fish but anacondas, pythons, caymans and fish to stroke! 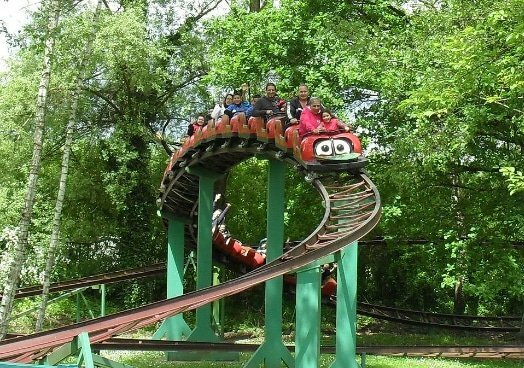 If you don’t mind a drive of 1½-2 hours, you could give the kids a treat at Walibi Sud-Ouest. This adventure park has 25 attractions, including water rides, rollercoasters and slides, plus a programme of shows throughout the day. More information and tickets from the Parc Agen website.